Adult coloring has become a trendy way to relax. According to the American Art Therapy Association, art therapy is a mental health profession in which the process of making and creating artwork is used to "explore feelings, reconcile emotional conflicts, foster self-awareness, manage behavior and addictions, develop social skills, improve reality orientation, reduce anxiety and increase self-esteem." I enjoy it as it makes me put the electronics away for a while. Now this book is definitely geared towards adults. Be sure to remove the page from the book and tape it to a hard surface for the best results. I used a set of color pencils and utilized the color photographs on the back of the book as a guide. 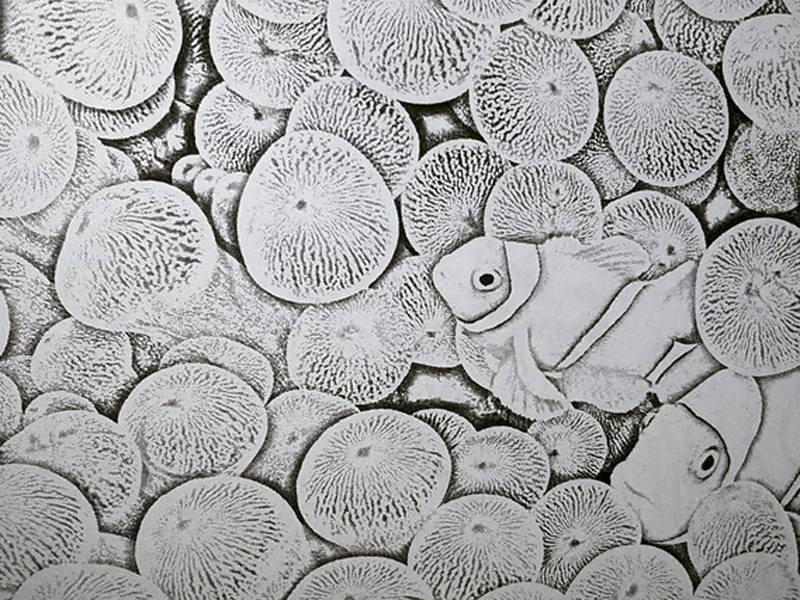 The gray-scale pages prove a creative challenge fit for adult relaxation. This is definitely not the usual coloring book. Adult coloring books are growing in popularity because thousands of people find it relaxing, helps you decompress, and let their inner child out to play while opening up creativity. 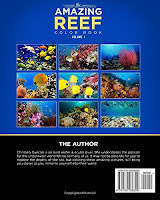 Many of the books on the market are centered on patterns but we cater to you reef lovers. 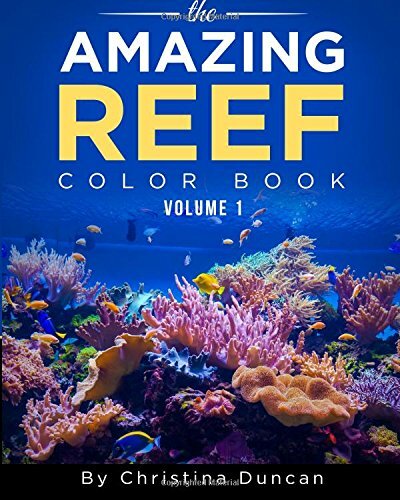 They are a little more detailed than a child's book but also designed for you to interpret the colors as you want to see them. 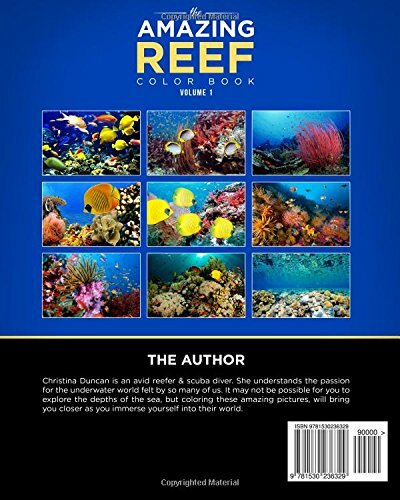 These pages were patterned for you to enjoy your free time diving into one of your passions, the ocean. 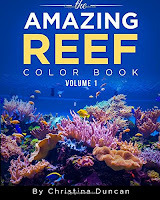 You should not be limited to the color palette you see in your tank or on your next reef dive. Pick a color at random and jump in. Now we understand that many adults probably haven't colored a page in over 20 years. Crayons were great as a child but grownups should probably use grown up materials. 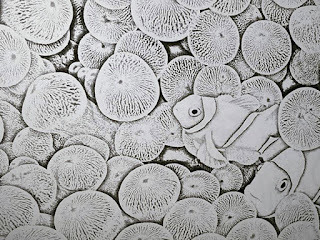 So we recommend colored pencils as you can blend them to make realistic works of art.